Insurance is one of those things that no one wants to pay for but having it when it’s needed is so important. Jonathan Priest works with MetLife to custom build insurance packages for singles and families regardless of where they are in the game of life. “Anytime you’re making a change is a good time to review insurance,” Priest said. Getting a new car, getting married, divorced, having a baby are all great reasons to reassess or learn about insurance. Priest has been working in the banking and insurance industry since he graduated from college with a degree in education. The education degree has served him well in his career because he is able to discuss the client’s needs in an understandable way. MetLife offers many things that other companies don’t, Priest said. Like when a client has an accident with a rental car, the rental agency will sometimes charge the driver for loss of use time. MetLife covers that charge, where many other insurance companies will not. If an all-wheel drive car needs new tires and rims, MetLife will replace all four tires, not just the two needing repairs. 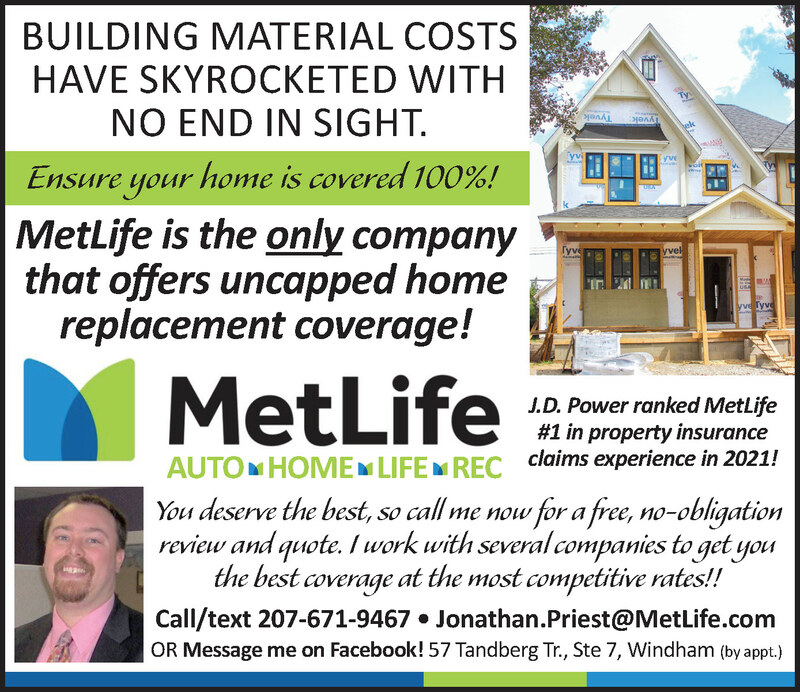 When it comes to home insurance, MetLife doesn’t have capped insurance, Priest said. If a house is insured for $500,000, but it will cost $750,000 to rebuild it, they will provide the bigger amount. “No one else does that,” he said. When he meets with clients, he asks a lot of questions to find out what they need, be it homeowners, auto, disability, life, event or pet insurance. Priest can broker out to many agencies to find the best policies for his clients’ needs. Insurance can be reasonably priced. Pet insurance, for example, can run an owner about $15 to $20 per month. When a pet needs an expensive surgery, the insurance can be a great thing to fall back on. Priest has been able to find savings for many clients. One man, with good credit and insurance history, was able to cut his yearly payment in half, Priest said. Priest has life insurance policies that don’t look at marijuana use. “We are very competitive,” he said. He fits the product to the client. “Not everyone needs an umbrella policy,” he said. “I feel it is my job to educate.” The face to face contact with Priest allows him to make a personal connection with his clients. When something happens, the clients call him. “If you have a claim, do you want someone who doesn’t care or that you’ve never met?” he asked. “I want to make sure you’re getting the coverage you need.” The claim center for MetLife is in Rhode Island and Priest makes sure to follow up if there is a claim made. “Many things don’t count against you,” he said. Other companies will assess a surcharge for five years after a claim. Priest started with MetLife in March and hasn’t looked back. With 13 years of experience in the insurance game, he knows a good company when he sees it. Priest likes to work with first time home buyers because they are like a blank slate. They need coverage and need to be educated about which coverage is right for them. He also likes to work with people who know the value of insurance. 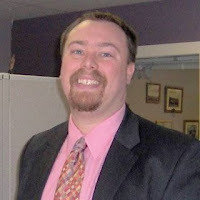 He also works with business insurance, which has different requirements. “I was one who wasn’t scared of getting into the commercial side of things,” he said. He enjoys face to face meetings, so getting in touch with him is best done by phone or email. For more information or to schedule an appointment, call directly at 671-9467, call the office at 893-8184 or email Jonathan.Priest@MetLife.com.